This dish has turned into a family favourite. The ingredient list is fairly long which, I know, is slightly off-putting when planning meals but you could make the curry sauce a couple of days in advance-or even make a double quantity and freeze half. I also serve the chicken with a mayonnaise flavoured with kecap manis (Indonesian sweet soy sauce) and normal soy sauce.I have deep-fried the chicken because the temperature of the fat is controlled and it is less messy but if you don’t have a deep-fryer you can shallow fry. If you do, you will need to turn the fillets over after about 2 minutes and fry for a further 2 minutes on the other side.Both the chicken and the sauce are also remarkably good served cold the next day in a baguette. Heat the oil in a saucepan and add the shallots, carrot, celery, garlic and ginger. Cook over a moderate heat for about 10 minutes, stirring regularly, until the vegetables have softened but not coloured. Stir in the curry powder and cook for 1 minute then stir in the flour and cook for a further 1 minute. Pour in the stock and stirring, bring to the boil. Stir in the honey. Turn the heat down and simmer for 12-15 minutes. Leave the sauce to cool then liquidise until velvety smooth. Pour back into the saucepan and set aside. 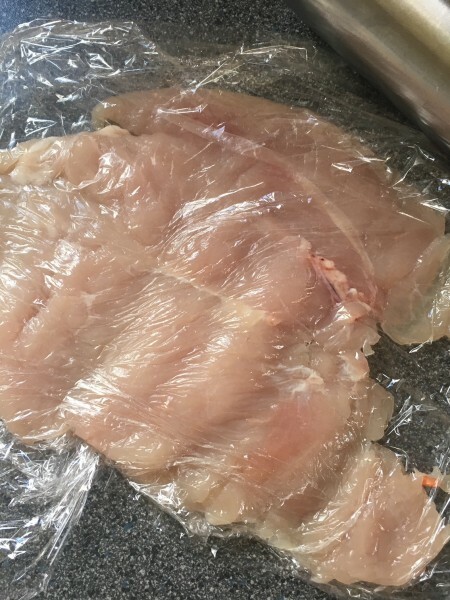 For the chicken, place each fillet between 2 sheets of cling film and beat out to a thickness of about 5-6mm. Season the fillets with salt and ground black pepper. Put the flour, eggs and panko crumbs into separate shallow bowls. 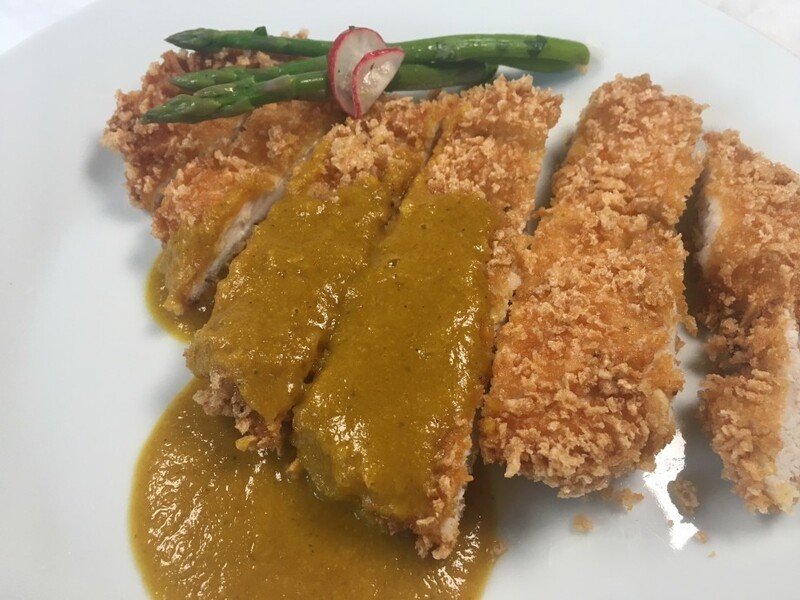 Dip each chicken fillet into the flour, followed by the egg and finally coat in the breadcrumbs. Heat the oil to 175˚c. 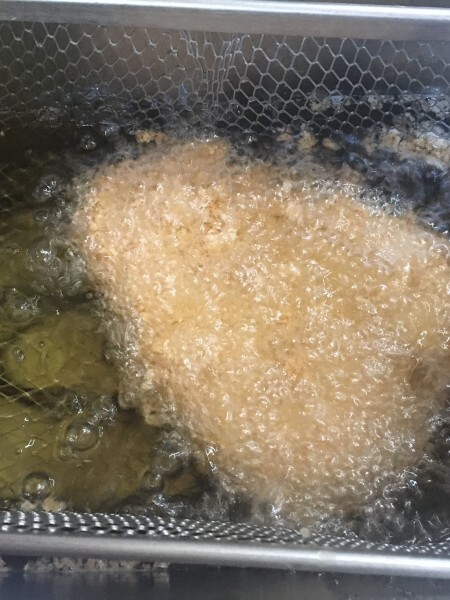 Fry the chicken (one or two at a time depending on the size of your fryer) for about 3 ½ -4 minutes until golden brown. Keep warm in a low oven while you finish cooking the remaining chicken. 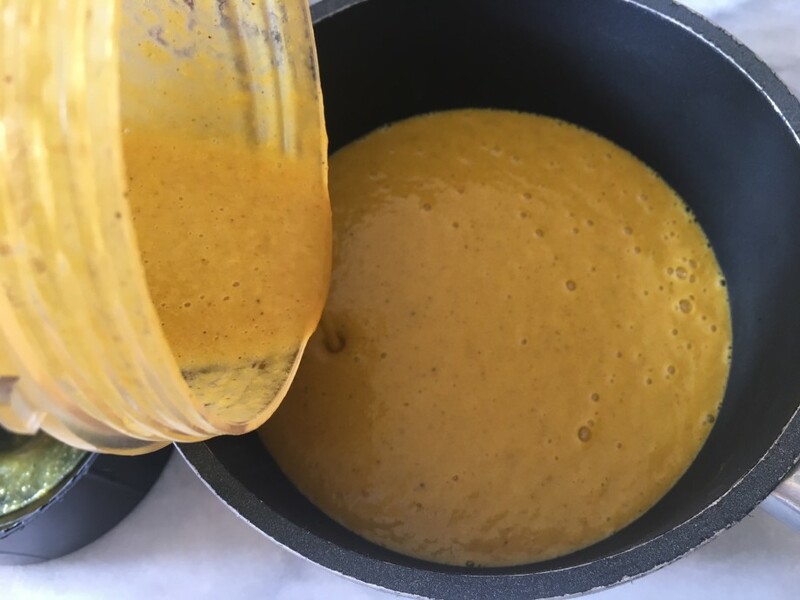 Heat the curry sauce. Serve it warm with the crispy chicken and perhaps a crunchy Asian coleslaw on the side. 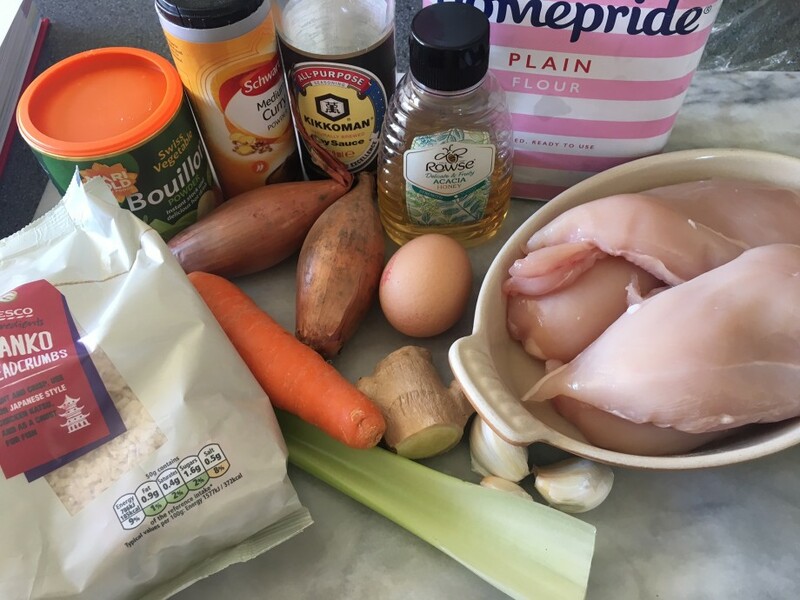 Love my recipes? Don’t miss a single one! Get them emailed to your inbox.